* BMWK Standard Awards – As a young, successful and creative couple, Erica and Warryn Campbell have reached an exciting milestone not only as multi-Grammy® Award winners and multiple award winners within the music and entertainment industries, but together now have been honored for the 2016 Black And Married With Kids ~ BMWK Standard Awards. The acknowledgement highlights the recording and television star couples’ efforts in the African American community, using their talents to set positive examples for black marriage couples. The Black & Married With Kids organization celebrates its 2nd Annual BWMK Standard Awards. The “Standards” are presented to couples in the African American community who set a positive example for black love and marriage. The 2016 honorees were handpicked as positive examples for setting a public standard for healthy, positive and supportive relationships. The couples are honored in three categories: Celebrity Couples, Couples in Business and Couples in Ministry. 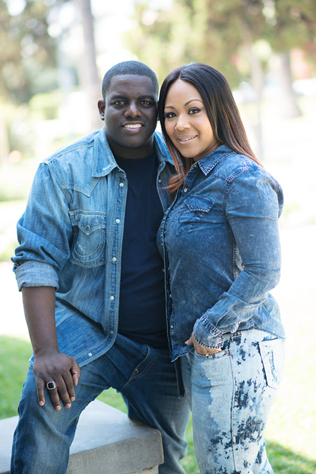 2016 Standard Award Honorees focusing on 11 influential couples who encourage others to love and strive for greatness include: Erica and Warryn Campbell, Drs. Victor and Sherry Blake, Holly Robinson and Rodney Peete, Junious Mclean, Jr. and Joyce Auld, Marshawn Evans and Jack Daniels, Drs. Heavenly and Damon Kimes, Ayize and Aiyana Ma’at, Jamal and Natasha Miller, Che “Rhymfest” and Donnie Smith, Carlos and Katherine Greene and Rufus and Jenny Triplett. Separately, Erica and husband Warryn will also participate in delivering the Master Sessions at the 2016 “I Create Music” Expo, along with fellow hit songwriting couple Pat Benatar and Neil Giraldo. The event takes place in LA April 28th–30th. Erica’s 2016 hairline “Erica by Erica Campbell” a partnership with Vernon Martin & VeMa Couture Hair was recently unveiled. The line includes different hair extensions and wigs that are all elegant, stylish, beautiful and affordable. Other recent high profile events for Erica included co-hosting the Dove Awards in November, 2015, and, a duet with Empire’s Bryshere “Yaz” Gray and LaShawn “Big Shizz” Daniels of “I Luh God” at BET’s 2016 Celebration of Gospel Music. Warryn Campbell is a multi-Grammy® Award winning producer and songwriter and head of his own label, My Block Records. He has helped produce songs for a variety of artists including Kanye West, Alicia Keys, Yolanda Adams, Missy Elliot, Brandy and more. The Campbell’s are also Pastor and First Lady of The California Worship Center in North Hollywood, a ministry they founded.